The Sunrise Tour isn't just your everyday tour. We don't run them everyday. Only when we see an amazing morning forecast will we run one of these tours. 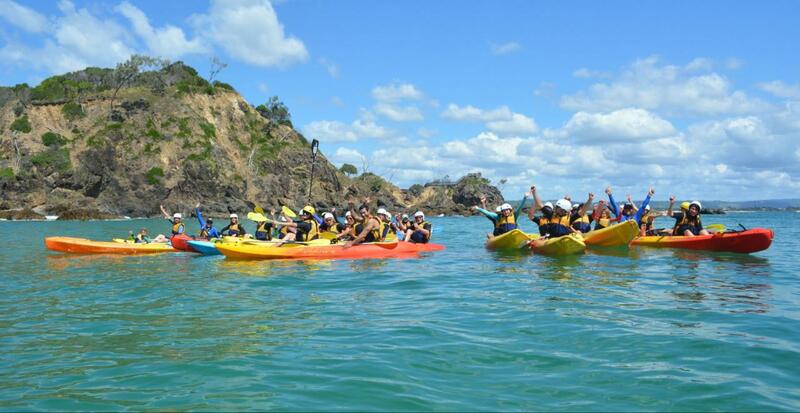 Beat the heat and hit the water with the sun just dawning on a new day.A highlight of your stay in Byron Bay will be this ocean adventure padding up close with dolphins, whales and turtles in Cape Byron's Marine National Park and learning the local Aboriginal stories and sacred places. You shouldn't have eaten so many Tim Tams! We can also pick you up from your accommodation at no extra charge. Go Sea Kayak Byron Bay is owned and operated by local surf lifesavers, ensuring your sea kayaking adventure is fun, safe and memorable. Read more on Our Team here. Go Sea Kayak Byron Bay has a 100% safety record.